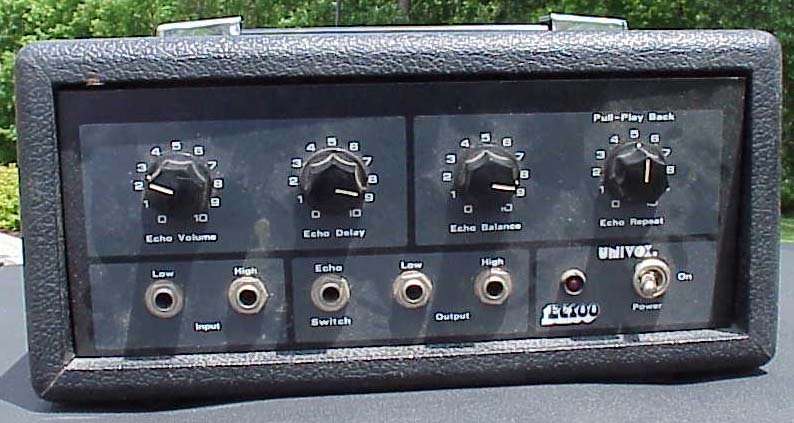 The EC 100 Echo Chamber (1, 2) had volume, balance, repeat and delay controls. 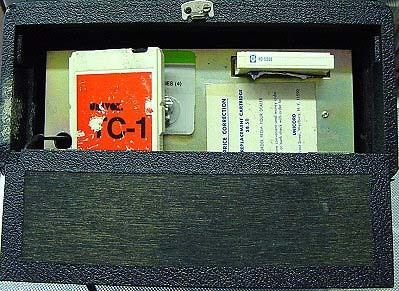 The EC-100 had a pull control on the repeat knob for sound on sound, this allowed a passage to be recorded and looped over and over. The maximum delay was about 100ms. Copyright Michael Wright, author of Guitar Stories Vol. 2, and Vintage Guitar Magazine; used by permission.